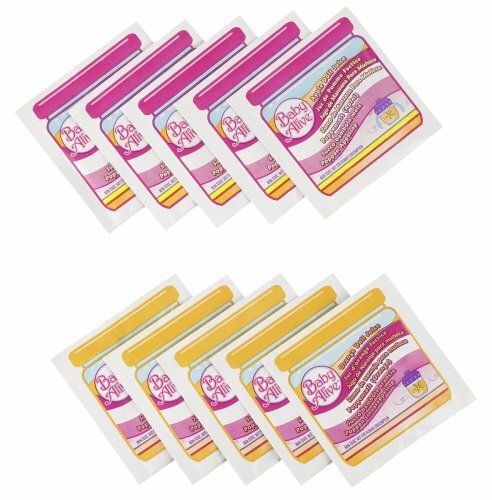 Make sure your Baby Alive doll (sold separately) is well"hydrated"with this convenient 10-pack of doll juice mixes. Not intended for human consumption. She can really drink it. Non-toxic. 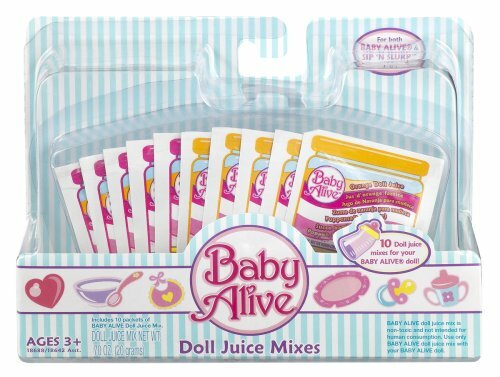 For use exclusively with Baby Alive dolls (sold separately ). 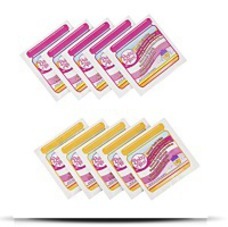 Includes 10 packets of doll juice mix.